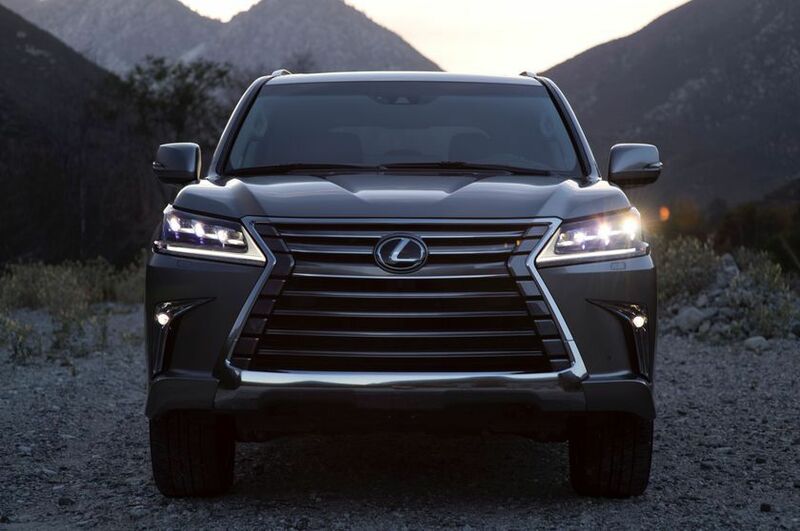 With every glance, the 2018 LX 570 is designed to convey its strength and elegance. 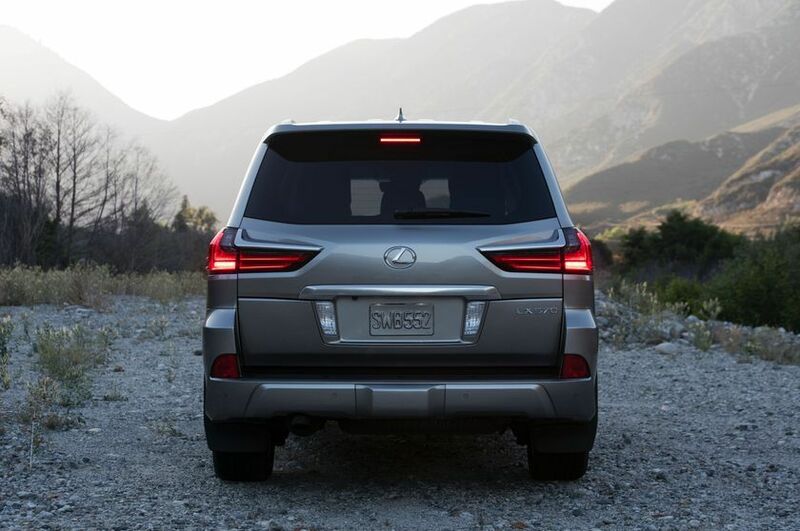 From the bold single-piece grille – framed by stain chrome trim and flanked by striking LED headlights – to the integrated rear spoiler and the 21” split 10-spoke alloy wheels, the LX 570 transcends traditional SUV styling and commands attention. Other exterior features of note include LED daytime running lights, brake lamps, and fog lights, power-adjustable and folding heated exterior mirrors with puddle lamps and integrated signal lamps, a power moon roof, roof rails, illuminated running boards, roof-mounted spoiler, and more. 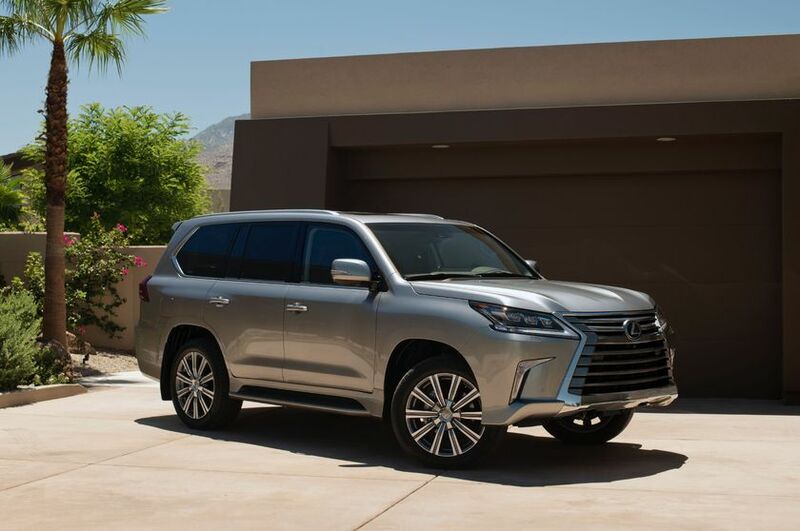 Inside, the LX 570 expresses the superior care of its design and expert craftsmanship of its construction. 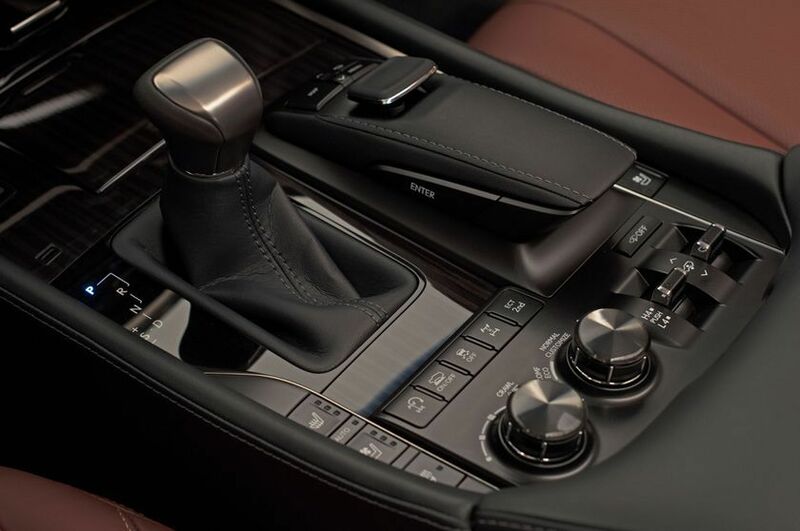 Luxurious wooden finishes adorn the heated steering wheel, shift knob, centre console and door trim, while supple leather cloaks all seating surfaces to impart a rich, serene driving atmosphere. The vast cabin is sumptuously appointed and wonderfully versatile, with room for eight. 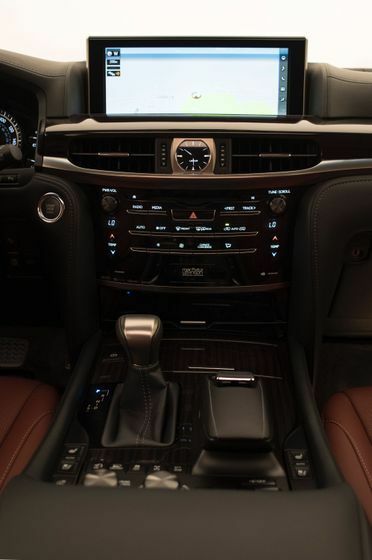 The power adjustable front seats are heated and ventilated, and include a driver’s seat memory system linked to the steering column and rear view mirrors. The second row 40/20/40 split folding seats are power sliding, while the outboard seats are also heated and ventilated. The 50/50 split third row seats are power folding for easy stowing when more cargo space is required – up to 1.267 square meters (44.7 square feet) behind the front seats. 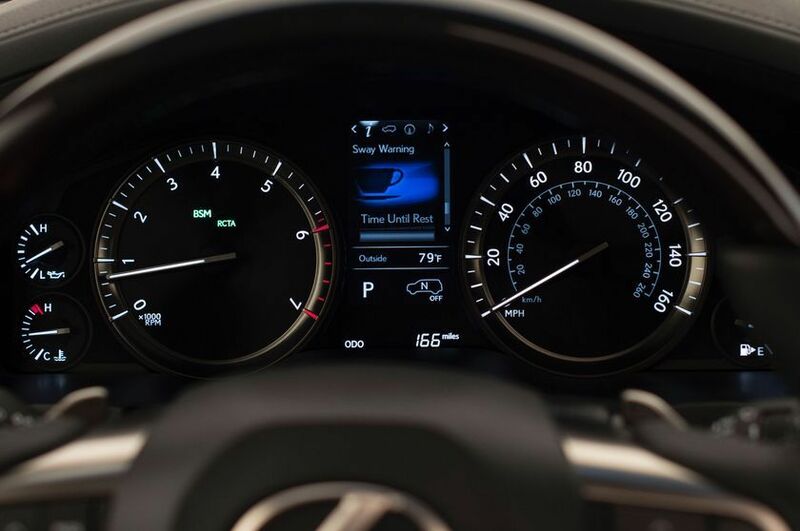 The four-zone independent climate control lets driver, front passenger, and passengers in the second and third rows each create their own personal temperate zone. 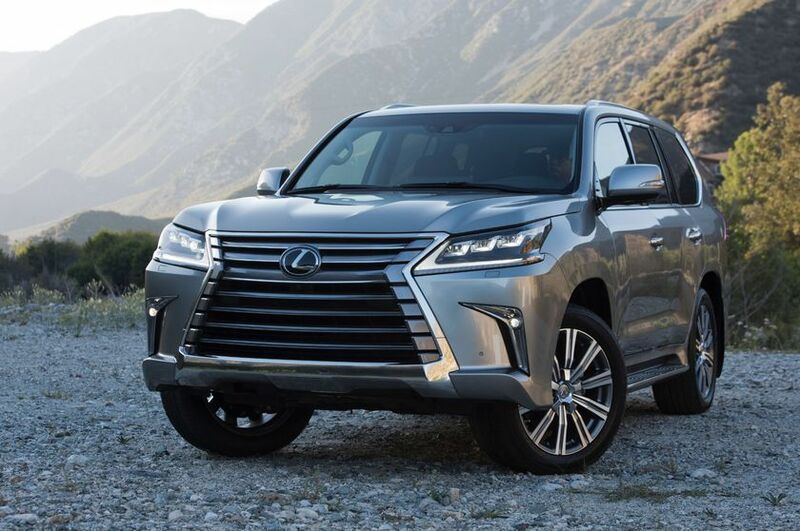 Go-anywhere performance begins with body design – and the LX 570 is the only SUV in its class with true body-on-frame construction, setting the standard for all-surface capability and all-weather performance. 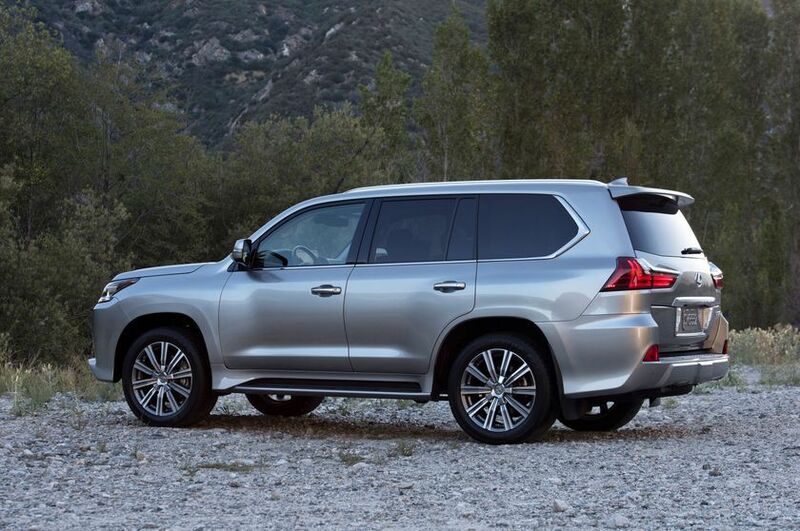 Isolating the LX cabin from the frame also reduces vibration and harshness, for a quieter and more comfortable drive – on or off road. 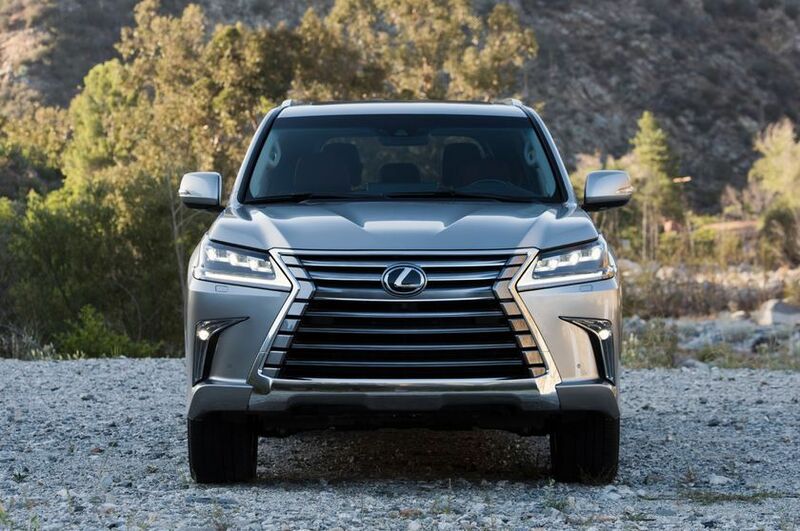 Commanding performance requires power – lots of it – so the LX 570 features a quad-cam 5.7L V8 capable of generating 383 horsepower and up to 403 lb-ft of torque. Furnished with advanced features including Dual Variable Valve Timing with intelligence, the LX’s powerful heart is also remarkably efficient. 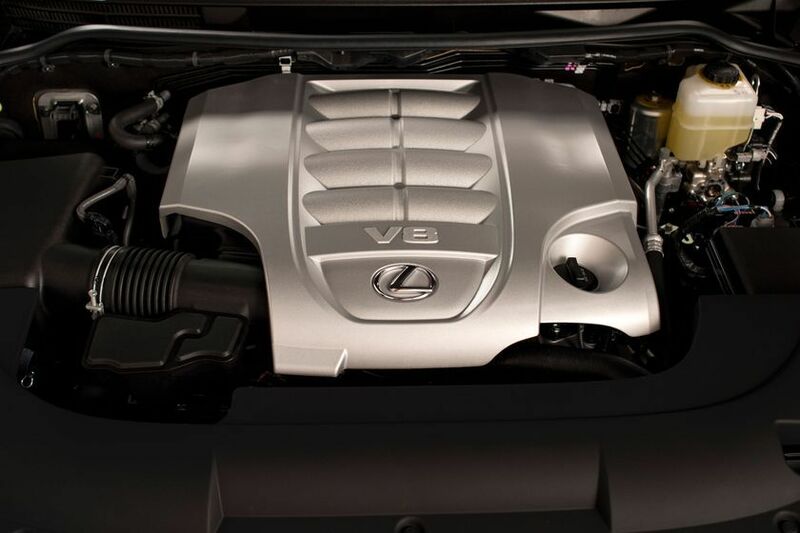 This engine is mated to an eight-speed Super Electronically Controlled Transmission for superior driving performance. The LX continuously monitors road conditions and predicts driver intentions, selecting the most appropriate gear for the moment. The transmission also works in sequential shift mode for the feel of a manual transmission, and is equipped with steering wheel-mounted paddle shifters. 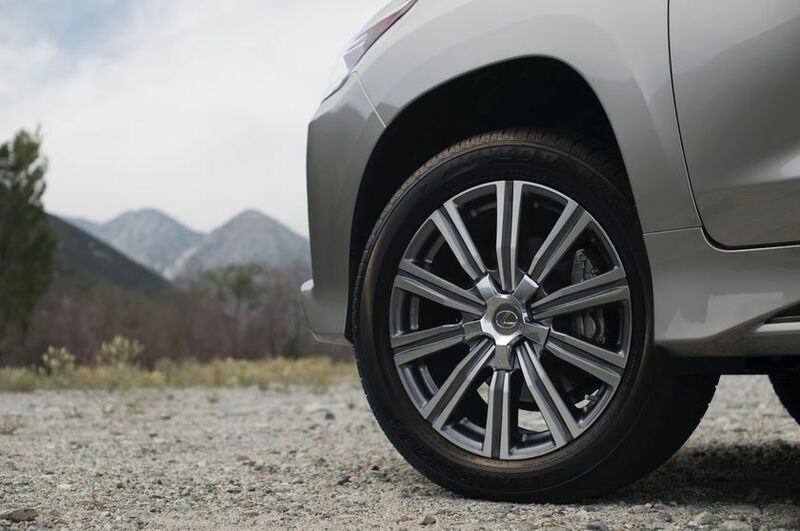 Equipped to conquer the road or the trail with equal confidence, the LX features a full-time four-wheel-drive system with Active Traction Control to optimize sure-footedness even under the most adverse conditions. 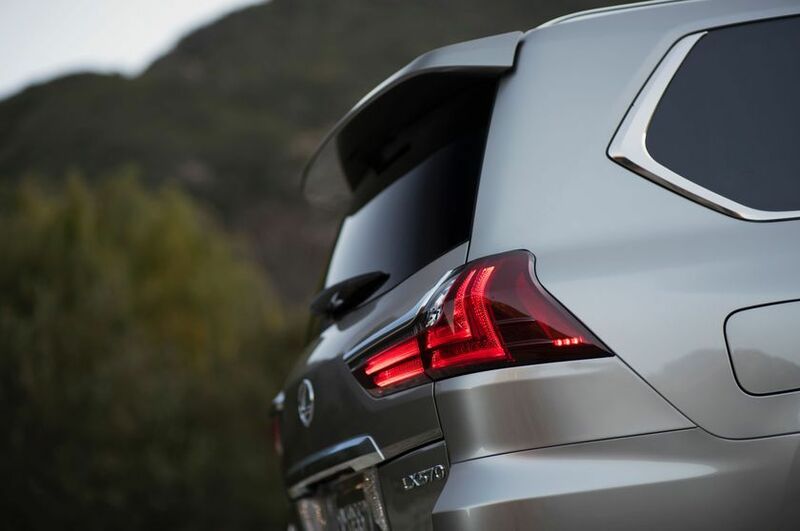 The LX features the Lexus Adaptive Variable Suspension system, which monitors road conditions and tailors the suspension’s response for a consistently smooth ride. Multi-terrain Select lets driver’s choose from five road condition modes – mud & sand, loose rock, mogul, rock, or rock & dirt – then automatically adjusts slip and grip so the LX can tackle even exceptionally rough terrain with confidence. 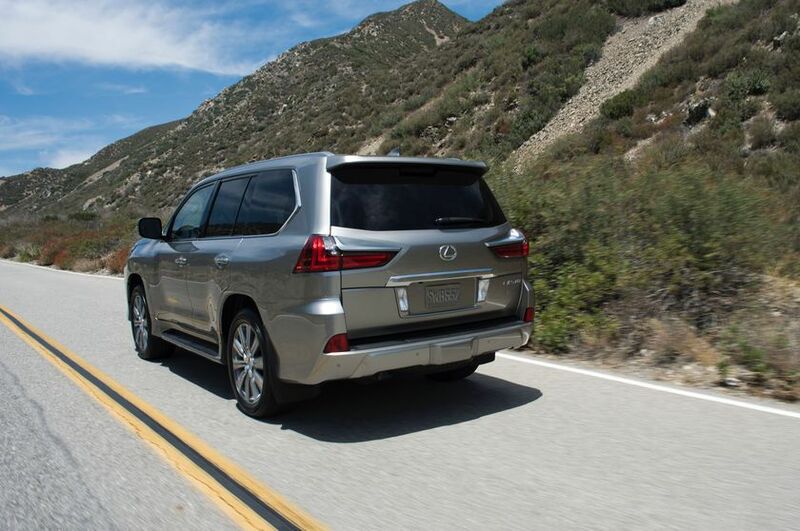 The Active Height Control system automatically raises the LX when extra ground clearance is required, and lowers the vehicle for improved aerodynamics when cruising at highway speeds. 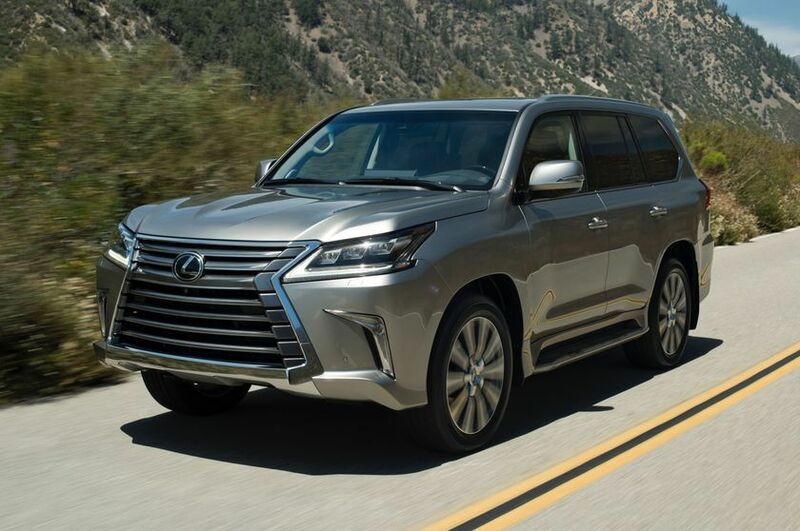 With its ample low-end torque and 3,175 kg (7,000 lb) towing rating, the LX 570 makes easy work of hauling a trailer, even when climbing hills. It’s also standard equipped with a 7-pin trailer wire harness and the Trailer Sway Control Brake System for stress-free towing. 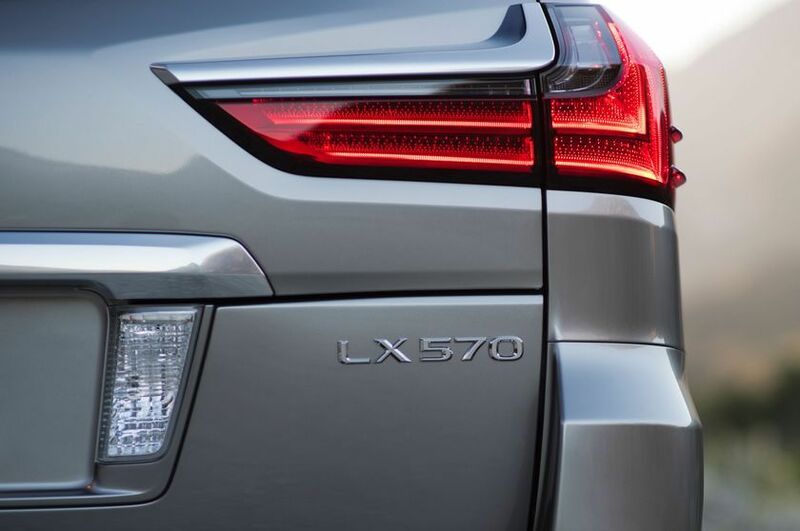 The LX also features impressive safety performance, headlined by Lexus Safety System . 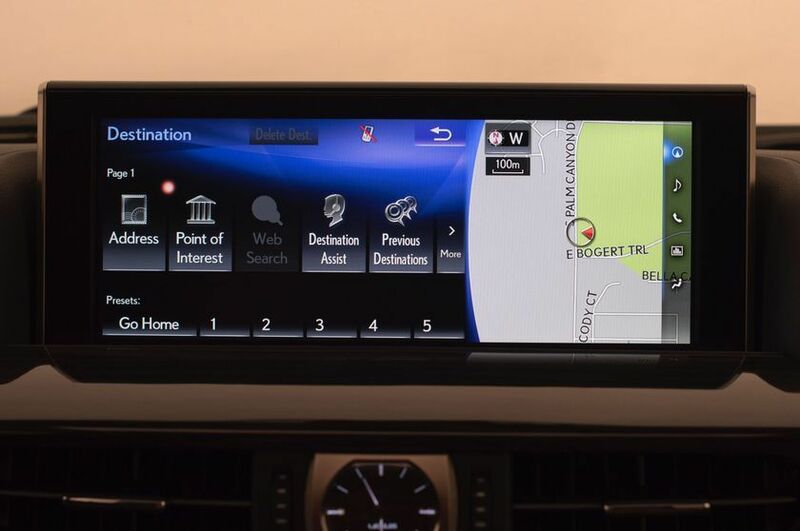 This portfolio of active safety technologies – including the pre-collision system with pedestrian detection, dynamic radar cruise control, lane departure alert with lane keep assist, and automatic high beam – enhances driver awareness and decision making under a variety of traffic conditions and contingencies. 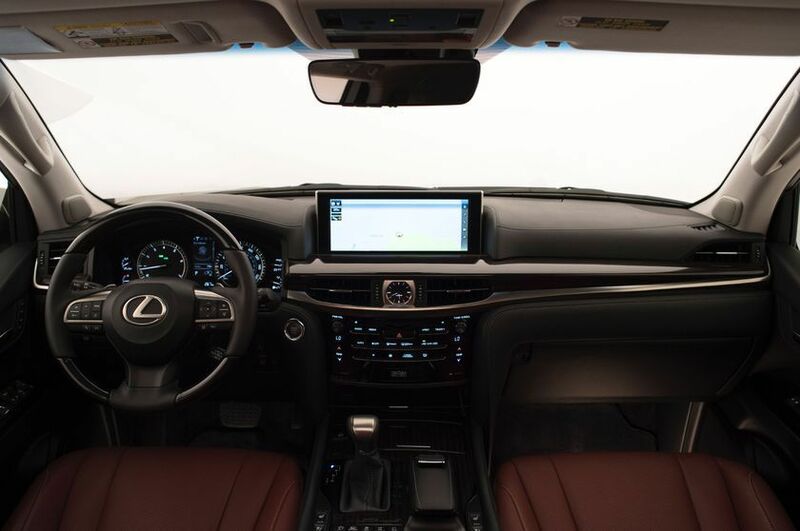 Other safety systems include the Lexus Wide-View front and side monitoring system, the Blind Spot Monitor and Rear Cross Traffic Alert systems, a back-up camera, 10 airbags, vehicle stability control, hill-start assist control, downhill assist control, brake assist, electronic brakeforce distribution, a tire pressure monitoring system, an on-board first aid kit, anti-theft system, and more. 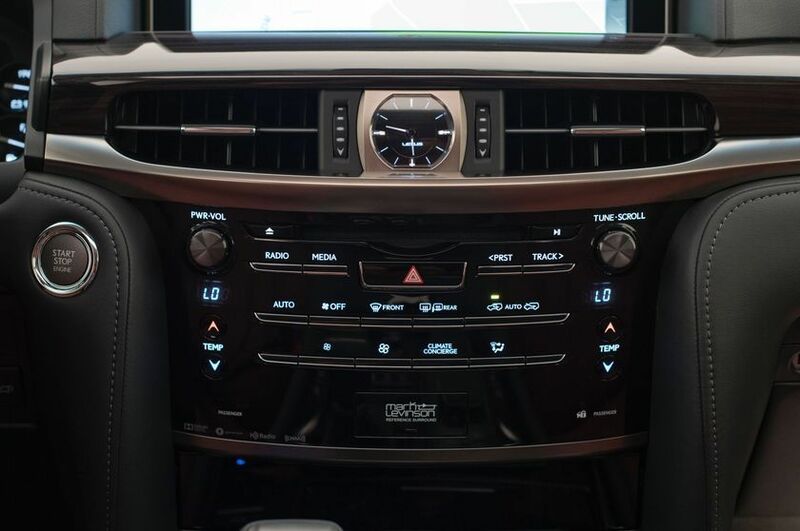 The 2018 Lexus LX 570 (Starting MSRP: $109,100) features a 19-speaker, 450-watt, 7.1 channel Mark Levinson surround sound audio system, Bluetooth® connectivity, and integrated XM Satellite Radio, a dual-seatback DVD entertainment system with 11.6” VGA screens, 2 sets of wireless headphones, and remote control, a voice-activated hard disc drive based navigation system with Lexus Remote Touch interface and 12.3” LCD display, a head-up display, Optitron instrumentation, a multi-information display, a trip computer, power windows with auto up/down function for all windows and window jam protection, plenty of thoughtful in-cabin storage including a front console cool box, LED map lamps, a premium illuminated entry system, a wireless charging system for compatible personal electronics, 12 volt DC accessory power outlets, a 120 volt / 400 watt power outlet, integrated garage door opener, keyless entry, the Smart Key System with Push Button Start and a wallet-sized smart key, a power rear door with jam protection, and more. 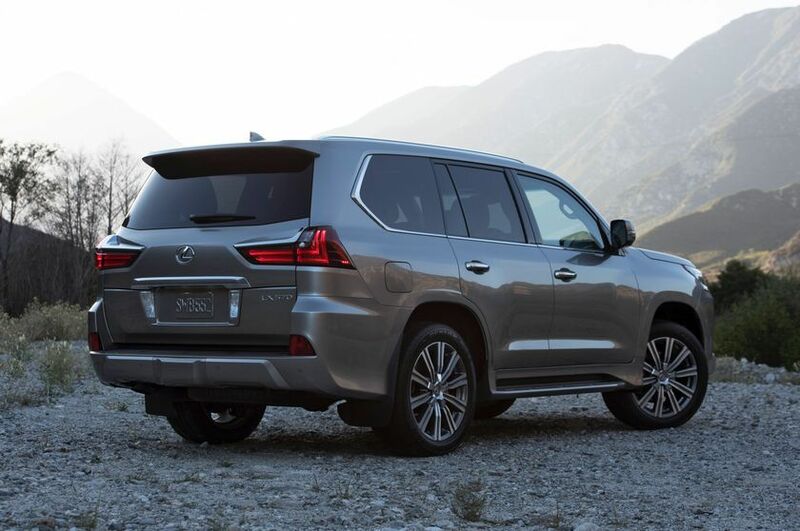 The 2018 Lexus LX 570 is now on sale at Lexus Dealers across Canada. For complete and up to date details and specifications, visit www.lexus.ca/lx.